3 Press "/1 on the system. 4 Press POWER on the subwoofer. 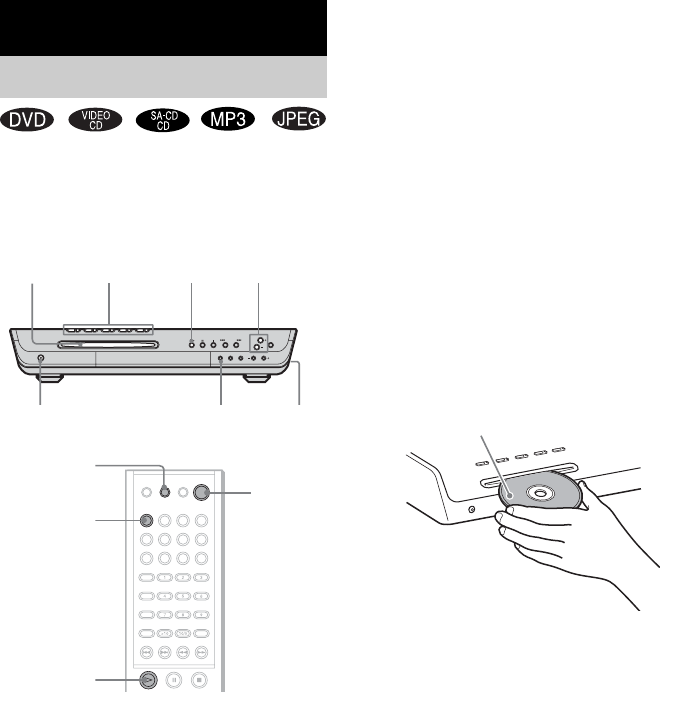 5 Press DISC 1–5 A.
the disc stocker 1, press DISC 1 A.
system is ready for loading the disc.